Practical eCommerce counts over 300 different shopping cart platforms. In this ongoing “Cart of the Week” feature, we profile—but not evaluate—a specific shopping cart, asking about its strengths and weaknesses. For this installment, we asked Taunia Kipp, Chief Operating Officer and Chief Information Officer at Mountain Media, a hosted shopping cart, to explain the benefits of her company’s cart. We then asked Palen Conway for his evaluation of it. 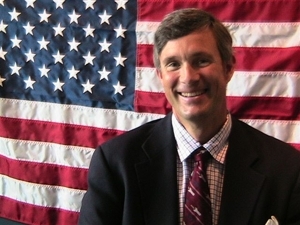 Conway is COO of Georgiamills.com, a retailer of area rugs that switched to Mountain Commerce seven years ago. Kipp: In 1998, while working to implement content management and ecommerce systems for Mountain Media’s clients, the development team realized that many of the solutions on the market at the time created a barrier between the client’s website and the search engines. The team realized that creating a solution where the code of the site didn’t get in the way of the search engines would help clients capture more sales. Mountain Commerce was born out of that philosophy and a decade later, we continue to increase our effectiveness in achieving natural search rankings for our clients. We are currently in development of version seven of our software. The solution is hosted in our own data centers, and we are PCI Level 1 CISP [cardholder information security program] certified. We have about 200 customers utilizing the solution. Our clients include major manufacturers, organizations and niche retailers. 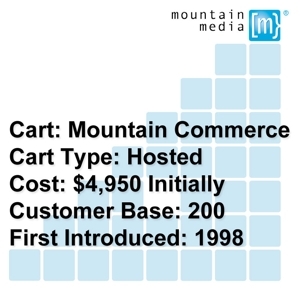 The initial implementation of a Mountain Commerce site is $4,950. Kipp: The strongest aspect of Mountain Commerce is definitely its search engine friendliness. The solution pushes out clean code and URL strings and allows for easy keyword and meta tag adjustment and unique title tags on every page. The solution helps our customers get search engine visibility all the way down to the individual product level, so they can get an edge over their competitors. Mountain Commerce is also highly configurable. We understand that every business is unique, and we work hard to work with our clients to customize the solution to their individual business needs. We have implemented integrations with order management and shipping vendors, such as Stone Edge Order Management, Endicia, UPS and more. If we don’t have it, we will build it. Mountain Commerce is a secure solution. Our processes and products are certified to be up to the highest standards set by the credit card companies. Many merchants are getting letters from their merchant banks requiring them to prove their PCI compliance. Issues with data handling in their existing carts are causing them to look for other solutions. Mountain Commerce merchants and their customers can feel secure in the handling of credit card data. Kipp: The user interface for the back end tools can always be more refined, and our version seven will make some great strides. Also, being PCI DSS Level 1 complaint does limit some aspects of the site that customers can have access to. A seasoned web developer, especially one who has not dealt with the complexities and security issues of ecommerce websites, might want to have more source code and FTP access than our system can allow. PeC: How does your cart improve a merchant’s business? Kipp: First, the search-engine-friendly aspects of the platform allow Mountain Commerce merchants to gain a leg up by helping them to improve meaningful search rankings for their products even with little or no formal marketing effort at all. Secondly, Mountain Commerce’s feature set and integrated components allow merchants to minimize administrative resources. Our clients find that managing their website and their orders is so much easier and allows them to maximize their time. Kipp: We are in development on version seven and it includes more Web 2.0 features such as tagging, linking to social networks, and richer image treatments. We are further streamlining the ordering process, and we are working on more sophisticated merchant tools. Customer Palen Conway, COO of Georgiamills.com (a Mountain Commerce client), offers his thoughts on the cart. PeC: Please tell us your view of Mountain Commerce. What features do you find most useful? Conway: At Georgiamills.com and our directly controlled affiliated sites, we could not be what we are today in the marketplace without the implementation of the Mountain Commerce marketing platform. To demonstrate our faith in the latest version of the cart, we are in the midst of launching our fifth with the folks at Mountain Media. We offer a very diverse product line that requires frequent price changes and seasonal promotions. Mountain Commerce and the Mountain Media team have embraced all of our needs from the beginning. We are able to execute our clients’ orders with speed, accuracy and security. We are able to render informative updates for all parties as to their order status at any given point. We have experienced great success with ongoing keyword evaluation . . . so that our SEO programs are met with maximum exposure ensuring the ultimate performance in conversion rates. PeC: Are there any improvements you’d like to make to the cart? Conway: I’d love to see Mountain Media continue to add system integrations with third party vendors. They have quite a few now, but I think that the ecommerce community is always ready for more systems to be able to integrate. We would like to see a comprehensive integration of more of the financials, so our accounting division could eliminate a few steps. For example, a QuickBooks integration would be great. An additional wish list item would be a well-integrated customer relations management program. This third party feature would be a huge potential boost for the revenue-producing aspect of our company. We would like to see a complete and well-defined integration of our total customer base—already there into a format that is easy to use. PeC: Do you have any other thoughts about Mountain Commerce for our readers? Conway: These folks are truly pioneers within their own trade and hard-working and decent people to be associated with.